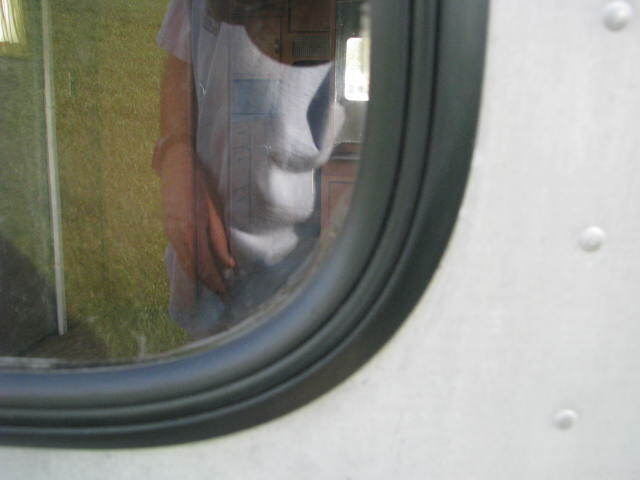 The front and rear windows in a Boler are made of 3/16″ (4.5mm) acrylic, often refer to as Plexiglas. With age the rubber molding around the front and rear windows will become hard and shrink, this will often be the source of leaks as water can easily migrate around the seal. Also with age the windows themselves will become fogged and brittle with micro cracks forming that will soon start to spread into larger cracks. Always replace the rubber molding when you replace the windows. You can make your own windows from what was originally used Acrylic (commonly known as Lucite or Plexiglas) or Polycarbonate (commonly known as Lexan or Makrolon). An excellent comparison of the two products can be found at Highline Polycarbonate. Acrylic sheet and Polycarbonate sheet are two of the most widely used plastics for optical applications. Acrylic sheet trade names include Plexiglas and Perspex. Polycarbonate sheet trade names include Lexan and Makrolon. It should be remembered that both materials have their advantages and it is not a case of which one is better. As always, it is important to select the right material for the application. Polycarbonate is well known for its strength and resistance to impacts. When it is hit with an object it is almost impossible to break. This property makes it ideal for machine guards and protective screens. It is one reason why face shields and protective goggles are often made from Polycarbonate. Front headlights on cars are also often made from Polycarbonate as they can resist damage from stone chips. Acrylic does not have the same strength and resistance to impacts as Polycarbonate. If it is hit with sufficient force it will shatter. Acrylic has excellent resistance to weathering. UV light does very little damage to Acrylic over time and so Acrylic is often a good choice for outdoor applications. The rear tail-lights of a car are often made from Acrylic because the colors are very stable and resistant to UV and the potential damage from stone chips is low at the rear of the car. Acrylic has an almost unlimited resistance to weathering. Polycarbonate weathers when exposed to UV light. This weathering often takes the form of yellowing and micro-cracking of the material. It is possible to reduce the effects of weathering by either adding a cap layer of UV absorbers or a coating loaded with UV absorbers. These solutions do however add to the cost of the Polycarbonate sheet and will only protect the product for 10 to 15 years. There are some advanced solutions to protect Polycarbonate for 25+ years from HighLine Polycarbonate but these are very expensive and are often cost prohibitive for most applications. Acrylic has a light transmission of 92%. Polycarbonate has a light transmission of 88%. The reason for the difference is the refractive index of the two materials. Acrylic has a refractive index of 1.49 and Polycarbonate has a refractive index of 1.585. If the higher light transmission of Acrylic is an important property for an application and some of the other properties of Polycarbonate are not required, Acrylic is a good choice of material. However, as discussed in previous posts, it is possible to raise the light transmission of Polycarbonate to 90% with a simple abrasion resistant coating. It is also possible to use advanced anti-reflective coatings to raise the light transmission of Polycarbonate to 98.5%. The choice of which material to use for optical applications depends upon both cost and the other properties that are required. Acrylic has a heat distortion temperature under a load of 260 psi of 200 degrees F, whereas Polycarbonate has a heat distortion temperature of 264 degrees F. A full explanation of heat stability can be found under the previous blog post discussing the subject. Polycarbonate is much more resistant to temperature than Acrylic. This means that if the application involves a higher temperature environment where the structural integrity of the material is required, Polycarbonate may be a better choice. The Heat Stability is also important in vapor deposition of coatings such as Indium Tin Oxide. It is possible to apply more conductive surfaces onto Polycarbonate than Acrylic. Acrylic is more resistance to scratches and damage by abrasion than Polycarbonate. This is one of the well-known weaknesses of Polycarbonate. To overcome this problem there are a number of solutions including applying an abrasion or scratch resistant coating. The previous blog post on scratch and abrasion resistance discusses this subject in more detail. Adding a coating to Polycarbonate will also increase the cost of the material. In conclusion, Polycarbonate sheet has significant advantages over Acrylic in terms of Strength and Heat Stability. Acrylic has significant advantages over Polycarbonate in terms of weathering and scratch resistance. It is possible to improve both the weathering and scratch resistance of Polycarbonate by a number of methods, but these do add cost. Acrylic does have a marginal advantage over Polycarbonate in terms of light transmission, but this can easily be overcome in high-tech applications with anti-reflective coatings. The following video is a bit dramatic and only looks at the impact comparison of the two products which highly favours polycarbonate. Do also consider the other factors when making your decision. 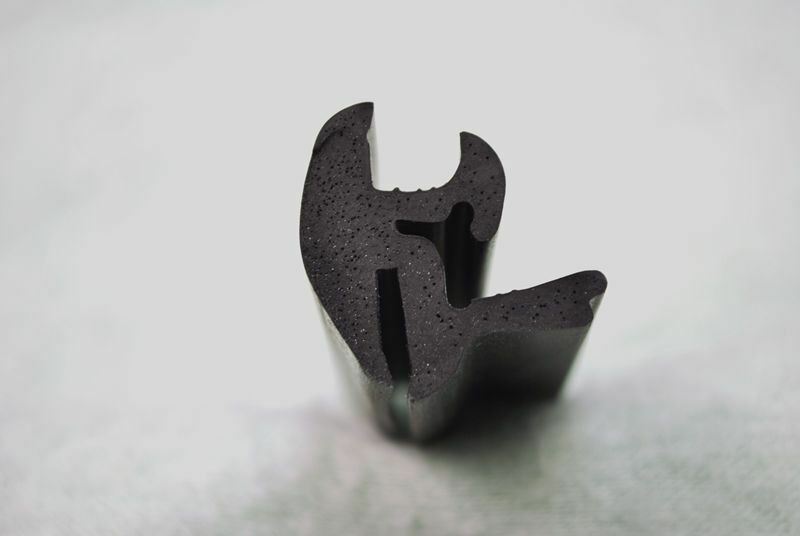 The original seal Boler used is referred to as a 2 piece locking gasket, two piece because once the gasket is in place a separate spline is inserted into the groove in the gasket to lock it and create the seal. For a much cleaner look a one piece locking gasket can be used, this type of gasket uses an integrated locking flange that fits flush and is almost invisible. I used the one piece locking gasket from Trim-Lok. 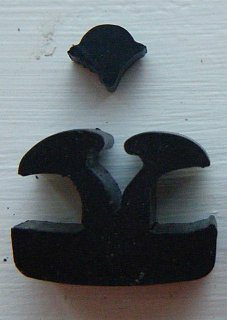 The best replacement gasket is Trim Lok LK987 or AS987 (these seals are exactly the same) see my “Where to Find Boler Parts” page for suppliers. You can use gasket LK1522 but because this seal is designed to fit a thinner body side of the seal it takes more effort to install. Make sure you install the seam over the ensolite so it seals well. The final option is to use a two piece gasket similar to the original, Trim-Lok K1179, with it you will also need the LK937 locking spline. When replacing the windows the rubber molding is first placed around the opening, I like to start on the top, holding the molding in the center (so you have 6′ on each side of your hand) and start working the molding over the fiberglass lip. As you progress use a rubber mallet to pound the seal onto the body making sure it is fully seated. Work the molding around the corners, again using the rubber mallet to make sure it is fully seated THIS IS CRITICAL!!. Continue working your way around, alternating side to side. When you reach the bottom trim one end so it will be in the middle of the opening and seat that side. Take the final side mark the end so you have the 3/4″ overlap, glue the two ends together then seat the final section. Finally go around the molding one more time with the mallet making sure it is fully seated, then you are ready to start the window install. The best tool to cut the molding is a pair of garden pruning shears. Mix up a soapy water solution and generously apply around the molding and window edges, place the window in the lower groove then slowly work the molding lip over the edge of the window. Be careful not to scratch the acrylic, I made simple plastic tools for this out of some scrap acrylic. They look like a letter opener with a slightly rounded point and beveled edges to a rounded edge (don’t need anything sharp). Continue pressing the window into the molding while at the same time gently prying the molding over the glass, also continued to apply more soapy water, I used a spray bottle, applying every minute or so. The job is not hard but it can be frustrating at times as the window may want to pop out at times, an extra set of hands is useful. the final little section the window will “pop” into place. You’re not finished yet, now the lock strip or the locking tab depending if you used one or two piece molding. Continue to use lots of soapy water and work the seal into place, special tools are available to install the locks, but I find various sized blade screwdrivers (preferably ones that you have eased the sharp corners). Again work your way around the window, gently spreading the molding, pushing on the lock until it slowly snaps into position all the way around. Hello, which Macrolon did you go with – I see they have a UV stable sheet designated as -LF and many other forms. There is also a GP general purpose and WG window grade. I see Home Depot doesn’t advertise the 4.5mm online. Did you have to go with an industrial supplier? Thanks! I used Makrolon GP, it is UV stabilized, the UV enhanced is overkill at more than double the price. I buy through an industrial wholesaler, they force me to buy minimum quality (3 sheets) which means some of the local Boler owners got windows supplied at a very good price. It is important to use the 4.5 mil, thicker and it will not bend into the compound curve, thinner and it is too flexible and will pop out with wind pressure while towing. Ian, where did you purchase the Trim-Lok 1522. I bought mine from another Boler owner who has some left over from their installation. I would start by calling some local glass companies. Are those 2 the same product? The first one from argus is listed as 1522 and the other from zoro as 1522-25. And the pictures do not look the same to me. Why are the pictures different then? They look completely different. For the butyl tape (get the tape with the smooth release paper, far better than the crape release paper type). It is available at most RV parts departments. I usually use Hobo Camper Country off Edmonton Trail, great people. Not exactly sure what entry door trim you are referring to, is this the trim covering the fibreglass edge around the door opening? thanks Ian I will check out Hobo Camper Country. . Yes, I am referring to the trim around the fibreglass edge of the door opening. I stumbled across this on eBay; 25 feet of the trim lok lk1522 for $53 CAD delivered. I bought one and there is only one left. I still may get hit for brokerage/tax if they use UPS. Shipping was specified as either USPS or UPS; I’m hoping USPS! We briefly met at the Island Bolerama in May. 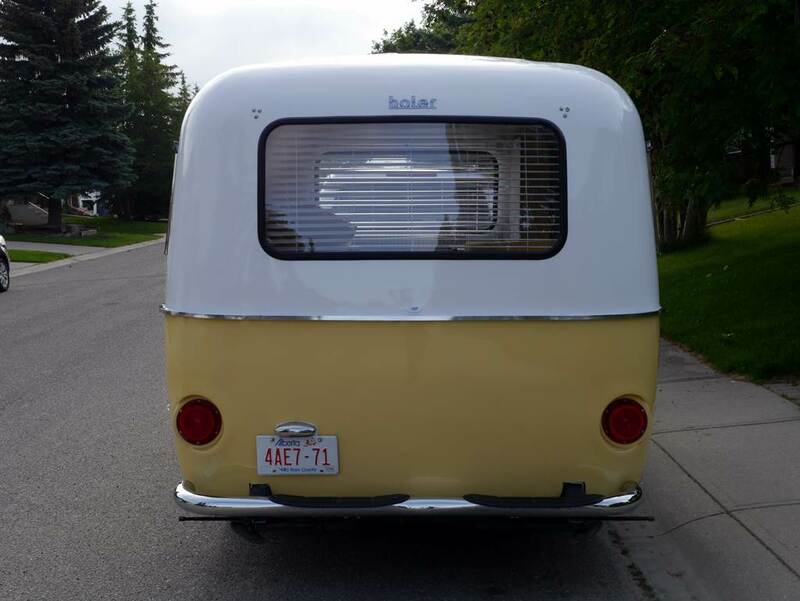 I will be passing through Calgary in mid-October towing our Boler 1300 and would love your opinion on our Boler as to the poor door fit; frame problems or otherwise? Any chance I may borrow your expertise in return for some BC grape juice? I ordered the LK 1522 from Zoro, when the first eBay supplier fell through. Will the LK 1522 still work? UPDATED COMMENT: Although both seals will work well, I used the 1522 and it works well but takes more work to install due to the body and glass thickness (although there is less chance to leak),the 1663 will be a little easier to install but it is 1/4″ narrower profile and if the window is cut a little too small there is a higher chance that it can leak. If you can find it LK987 is the ideal one piece seal but I have not found a supplier in Canada. I’ve installed the Trim lok, but it is not as wide as the original. It is not as wide as you image either. I’ve searched arround some moreand haven’t found a good solution. Can you give me some help here. With the one piece gasket does the locking part go on the inside or outside? I have heard different opinions. Always install the locking strip to the OUTSIDE!!!! 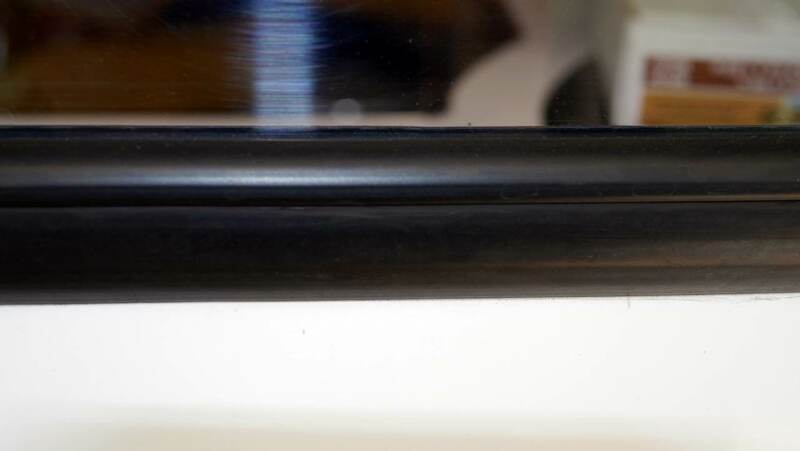 Yes there is a video showing the opposite but in most cases installing the window gasket wrong will result in the window leaking, The gasket is designed to be installed with the lock strip out, please install correctly.